I am rather addicted to college varisty jackets, and do already have quite a collection of them. However, this one is officially my favourite, and was kindly sent to me by Spreadshirt. Spreadshirt have a really easy to use website to create any of your own personalised goodies, I also got a few personalised tote bags but I can't reveal their design just yet! Watch this space for when I can show you all the design of the very first Rockalily Cuts tshirts! 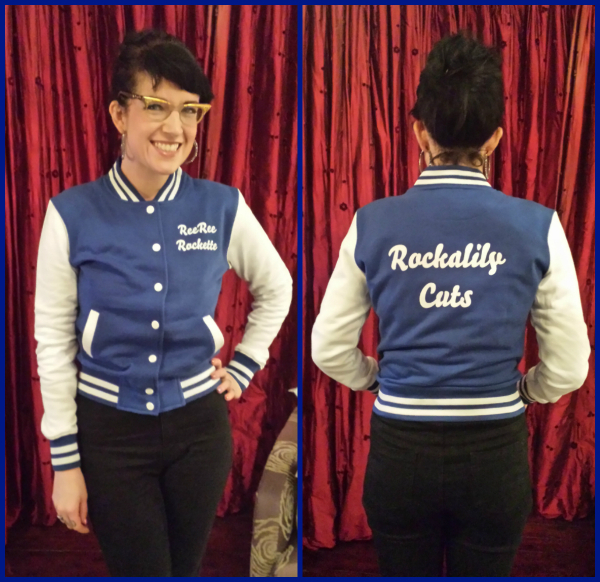 I may well need to treat myself to a few different colours and fonts for my varsity jacket collection! This jacket is more of a hoody-type material, so I can totally justify owning another one, as my others are more of a jacket.